This problem may occurs when the Accepted: or Declined: email that come back from booking a meeting with a resource or person is opened from Entourage before it was opened with the Iphone. It is related to the unread/read mark placed on the email. If you leave the Accepted/Declined messages unread you do not get the “Synchronization with your mobile failed for 1 items” but once you have read the message you start getting the errors. What really is happening (or not happening for that matter) is that the message remains unread on the mobile device. So for some reason Exchange is not transferring the read/unread mark to the mobile device as expected. Now if you open the Accepted/Declined message on the device before it has been read on the Entourage client it then reads fine “Your request was accepted” and no errors show up. 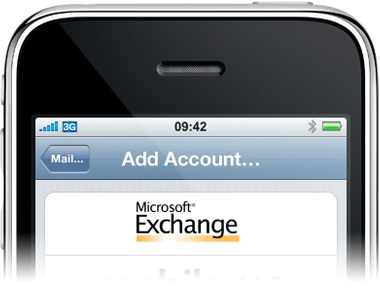 It appears to be an problem with Microsoft clients (Entourage & Outlook 2011 and Exchange 2010 and some reports on 2007) . We have been waiting for Microsoft to release a fix for this issue to which the just did on May 25, 2011 with the release of Update Rollup 3 for Exchange Server 2010 Service Pack 1.